An anti-corruption court on 27 September indicted Pakistan's Finance Minister Ishaq Dar in a corruption reference filed against him by the National Accountability Bureau (NAB). 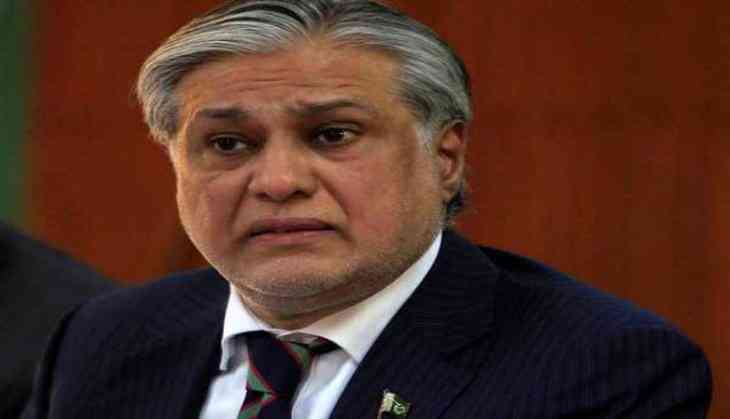 The reference was filed against Dar for possessing assets beyond his known sources of income, the Dawn reported. However, Dar denied all charges and vowed to prove his innocence in the court. The accountability court adjourned the hearing of the case till October 4. The NAB had submitted a list of 28 witnesses today and it will now begin to produce them in the court at the next hearing. Earlier, Dar reached the court premises amid tight security arrangements. The NAB had filed a reference against Dar and three separate references against ousted prime minister Nawaz Sharif and his children, earlier this month after the Supreme Court, while disqualifying Sharif had asked the bureau to file references in accountability court within six weeks on the basis of the material collected and referred to by the Joint Investigation Team (JIT).